Tanda and MYOB Exo is run through a flat-file integration, where a file can be exported out of Tanda with your Timesheets to MYOB. This article will take you through requirements in MYOB and Tanda for integration, how to bulk import your staff into Tanda the first time and then options for new staff going forward. 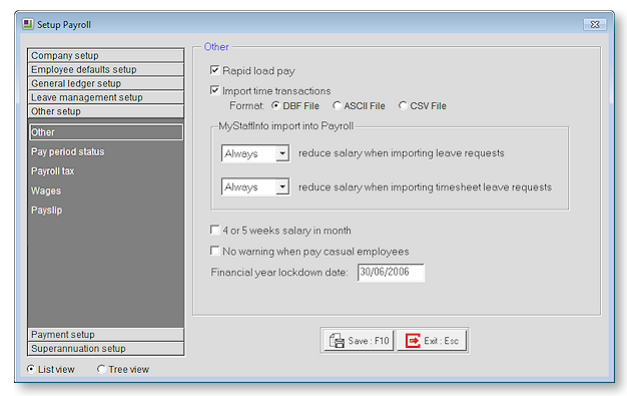 It will also take you through exporting your Timesheets from Tanda into MYOB. You must be running MYOB EXO Business Version 2015.1 or later. All staff have a MYOB Card ID: Tanda uses this field when importing Timesheet data, so staff without one may not be imported back into MYOB. Find the MYOB Exo (Australia) or MYOB Exo (New Zealand) logo and click on it. In the next screen click Save to complete. There isn't an automatic import or report that can be imported from MYOB Exo to Tanda but there are a few ways you can add your staff to Tanda; by manually adding them, importing by Excel or you can ask your staff to fill in their details by sending them an invitation to Tanda's Employee Onboarding. When you're importing by Excel, add into the sheet in the Employee ID column, the Card ID from MYOB. You'll need to add your Pay Codes from MYOB Exo to create or match the Award rules in Tanda by going to Payroll > Award Rules. For example, there will be a rule called Base Hourly in your account by default. Click on this to edit it and set the export name as 1. Repeat the same for Leave, under Payroll > Leave Types. Click on your Leave types to edit and set the export name as the Pay Code from Exo, for example A, S or L.
If given the option save this file, or copy & paste it from your Downloads to the folder on your C: drive where your MYOB Exo is saved. Look for a folder called Payrollv and either save or paste the file in there. Please ensure that the file name is TIMETRAN, as the file will not be imported into MYOB Exo under a different name. 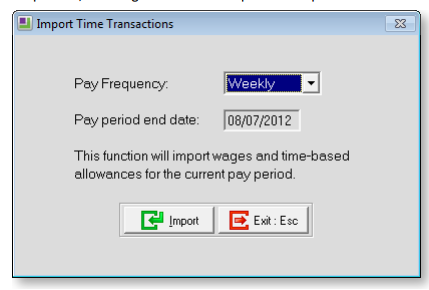 Select your Pay Frequency and Pay period end date and click Import. You will then be prompted to make a backup of your file and once that’s complete you will be given the option to print or view the Time Transaction Import Audit report. If you have checked "Pay Details" and the employee's are showing with 0, it is likely you may have missed one of the above factors. If successfully imported, head back to "Pay Details" to review the hours imported. You may then continue processing payroll as normal.